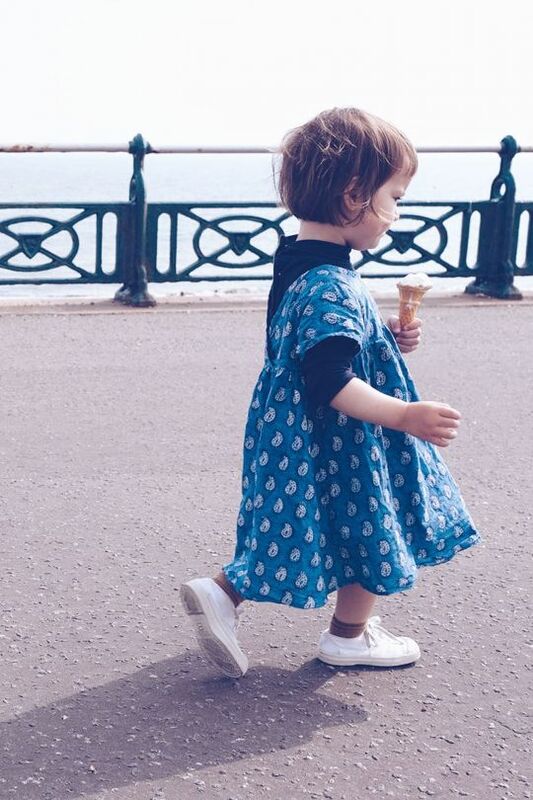 Om Baby is a British brand offering a beautifully relaxed, colourful collection of mainly unisex clothing for babies and children, 0 to 5 years. Made for children who move (well, that’s all children then!) 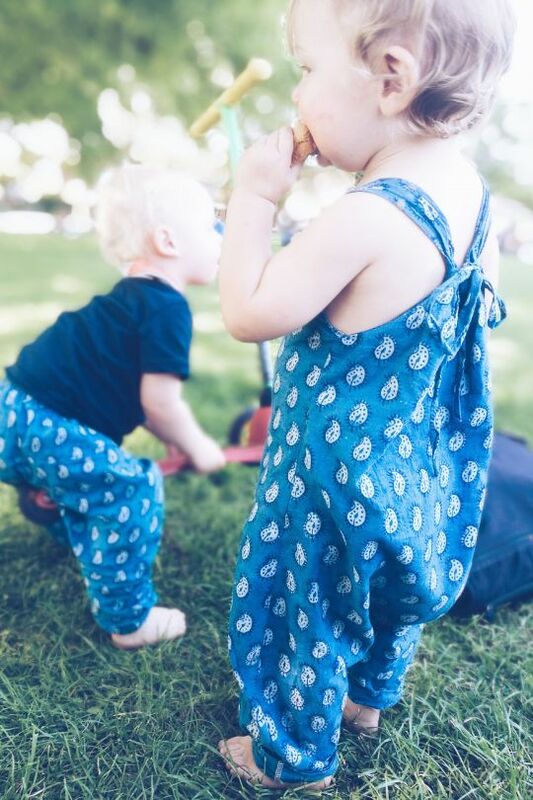 Om Baby believe that comfort is key, and found the classic yoga harem pant to be the perfect garment for little ones. 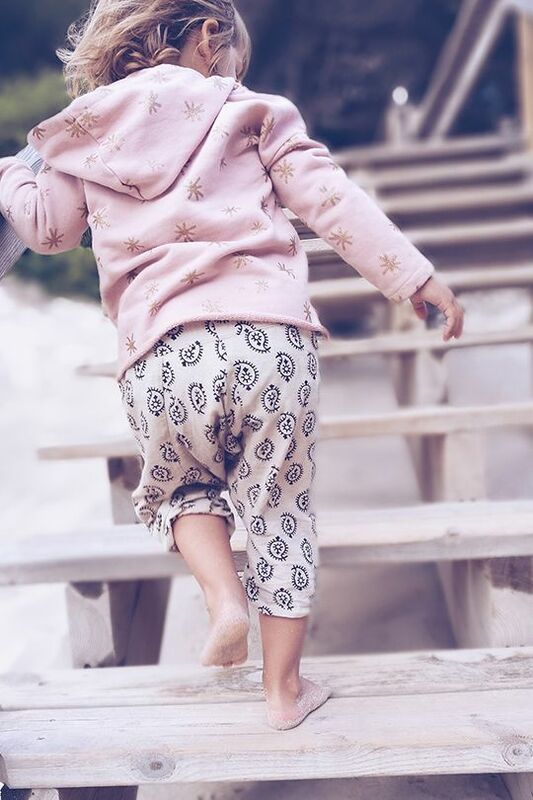 This universal trouser formed the basis of the collection; as it has grown, each item embraces the same principle of offering a roomy, cloth-nappy friendly fit and a size that can be worn for months and months, if not years. 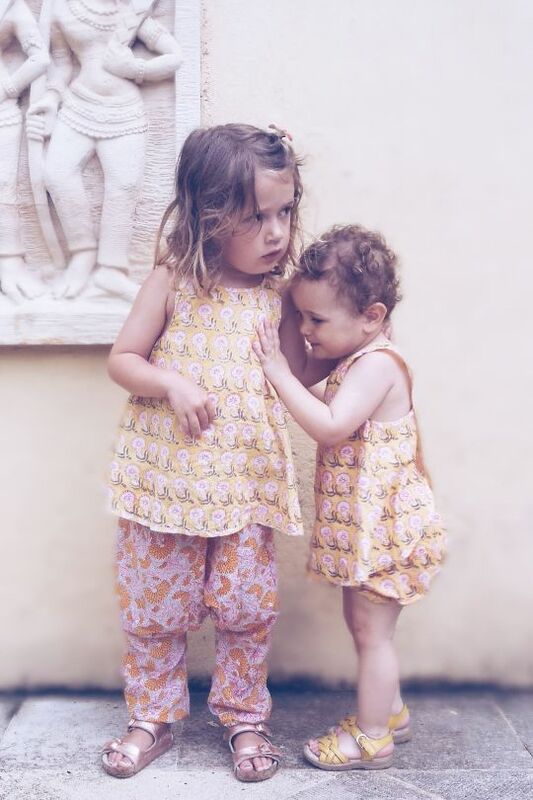 In addition to harem pants, Om Baby offers rompers, wrap tops, bloomers, dresses, boxy t-shirts, bermuda shorts, bandanas and scarves. 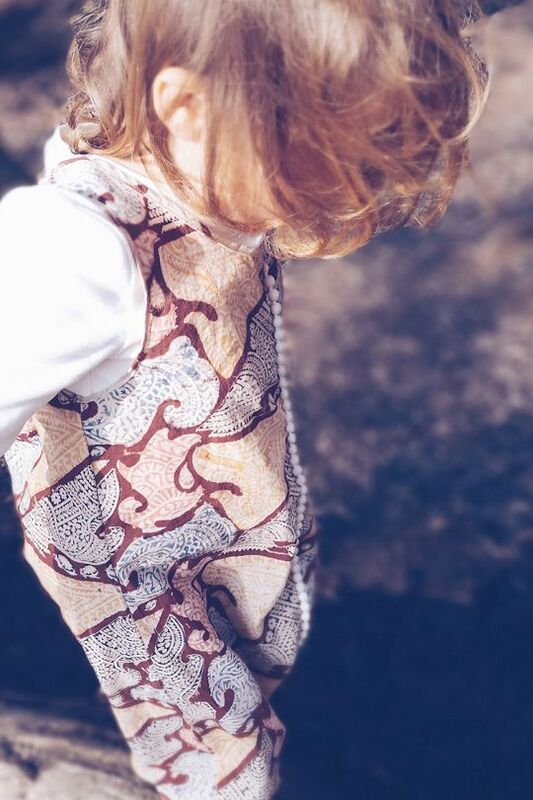 Each item features a unique, vibrant pattern that is hand block printed in Rajasthan, India on 100% cotton. The skilled, artisan printing process uses only natural and eco dyes. 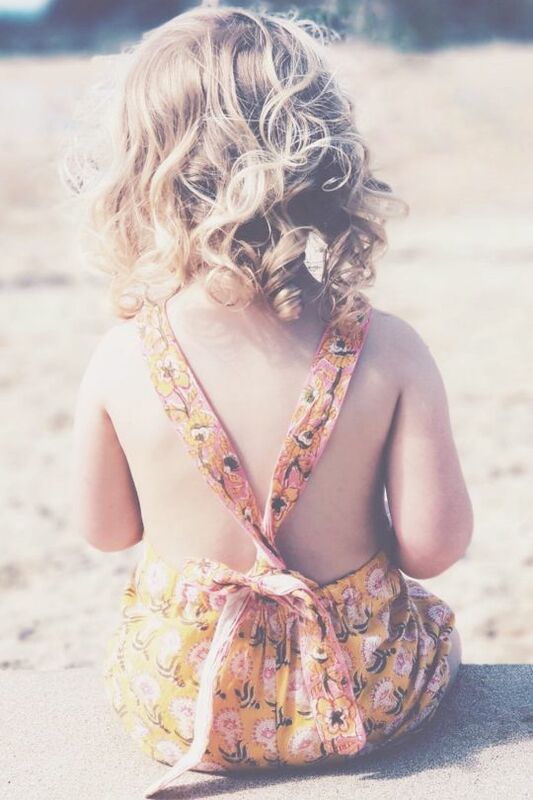 The fabric is then shipped to England, where items are handmade with love. 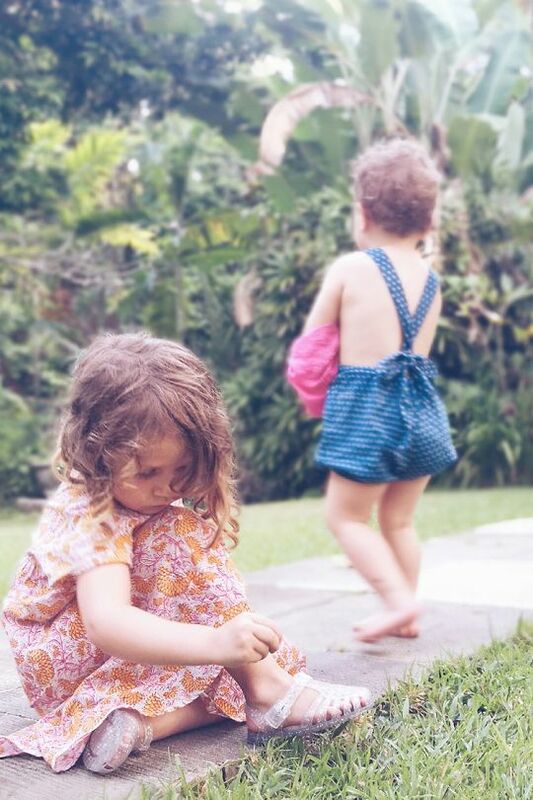 Om Baby is the creation of mama Alice, inspired by Indian travels and a need for cloth bum friendly fashion. 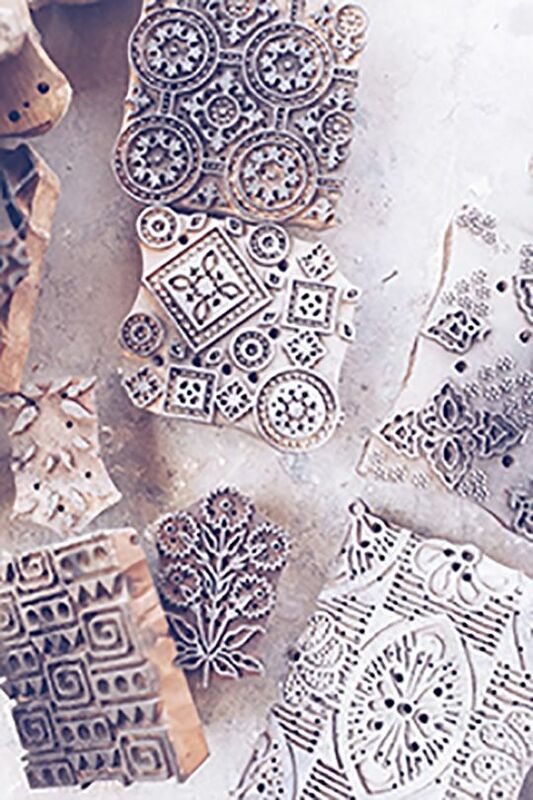 A lover of pattern and woodblock printed textiles, Alice is proud to support a traditional craft and to offer ethically-produced clothing.